Bottle Drives - Sound. Appearance. Precision. Students & Parents must sign up for a minimum of two bottle drives. 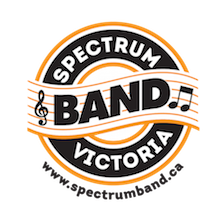 This ensures equal representation across the board and enables every family to contribute to their personal band account as well as the Spectrum Band Program. 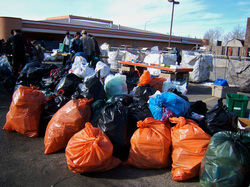 While this is a minimum, it is not uncommon to have students participate in every bottle drive as the money can then be used towards future band trips, band supplies, concerts etc. Each student will receive an hourly credit for themselves and their parent time to student accounts. Parent drivers will receive a 'double credit' for driving time to their student's account. Bottle Drives is a fast, simple way to make money for the individual and ensure that we have funds to subsidize repair costs, equipment upgrades and resource purchases. Here are the bottle drives for the entire school year. They begin at 9:30am and end 12:30pm. In order for the bottle drive to be 100% successful, we will need drivers to help the students bring the bottles back once they are collected from the local area! If you want/are able to volunteer, please fill out this form and bring it to the school office personally prior to the bottle drive. As always, thanks for your support! !